Made of birch burl, jewelry resin with acrylic lacqueur. Size, mm: 200 (diameter) х 75 (height). 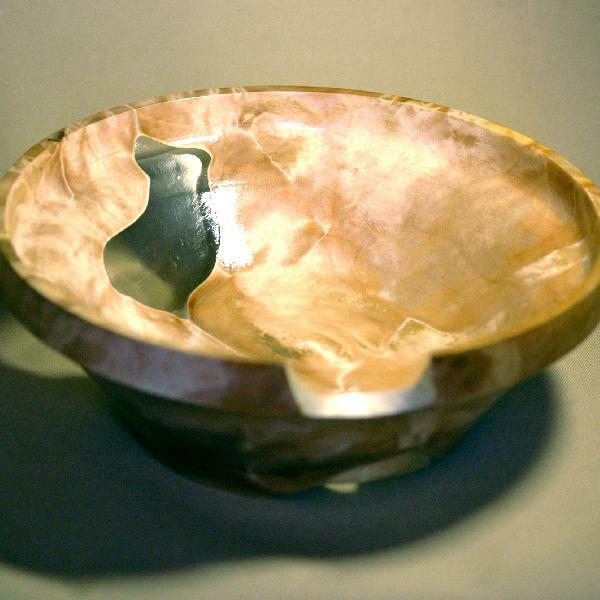 Large candy bowl chiseled from durable birch burl. Iridescent gleam od the wood pattern and jewelry resin insertion turn a simple piece of tableware into a unique designer item. An exclusive gift.